Improving your SEO takes consistent time and effort. If you are serious about improving your overall page ranking on search engines then you are going to need help. 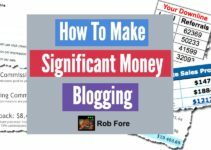 There is no one definite strategy to make sure all of your blog posts, articles, or other content reach the top of search engine lists. You need to utilize WordPress SEO plugins, as well as a variety of other resources to help boost your efforts to become visible. When you can do that then you will be on the right track to generate traffic to your site, and to increase your popularity and revenue potential. The first WordPress SEO plugin you should look into is Yoast. Many reputable websites use Yoast because it helps you find particular keywords and phrases, and it also makes it easy for you to understand whether or not your article or blog posts appears to be well structured for SEO purposes. You can type in a keyword or phrase and Yoast will give you a suggestion for how to phrase it so that you can increase your article’s visibility. Cater your meta tag, article title, and content inside your writing to help boost your rank and you can get high in search engines. Read everything you need to know about Yoast and how it can help you in all of your SEO efforts. Another WordPress SEO plugin you are going to want to set your eyes on is Squirrly. This is another helpful plugin that can help you use the right combination of keywords to perfection. You have to create articles and blogs of substance in order to boost your rank on search engines. One of the best ways to do that is to use the right keyword density, or a particular keyword a certain number of times throughout the content that you write. Allow Squirrly to help you do that so that you know you are making the maximum effort possible to increase your rank further. You can not only optimize the content you produce, but you can easily track and measure your overall performance so that you know whether or not your efforts are productive. If you are not keeping track of the performance of your content, then you cannot hope to figure out what does and does not work for you. Figure out which of the two WordPress SEO plugins you feel will best suit you. If you have multiple websites that you plan on tracking then you can use one for each. It’s always a good idea to try different strategies and plugins out to see what works for you. You may find out that one plugin works for you, but that it does not work for someone else. When you don’t feel like you are making any real progress with one plugin, you are going to want to try and utilize another to see how much of a difference it makes. Remember, you have to create quality content that flows, post links on other websites as well as social media, and promote your articles and blog posts all the time. Consistency is important when it comes to SEO. As long as you are making a consistent effort to increase your website’s visibility then you are making progress in the right direction. In time you will realize that it takes a bit of time to increase your rank on search engines, but once you get there it becomes easier to receive recognition. 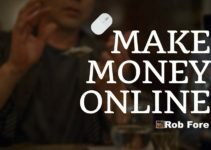 After you have established a reputation for yourself you can then generate a great amount of traffic to your website, blog, e-commerce website, or wherever you wish based on the amount of traffic you generate. Start your efforts as soon as possible and create a solid strategy that you are going to follow. Doing this helps keep you accountable and ensures that you are always making productive efforts in the right direction. Watch as your rank in search engines increases over time as you create more and more articles and blog posts; it will only be a matter of time before you rise up into the top ranks on search engines after you use WordPress SEO plugins. This is the best 2 WordPress plugin and has great value for WordPress sites. I am using these 2 plugins and really great for SEO. I also use one more plugin that is best for getting UX. That is W3 total cache. Thanks for sharing a useful post.